2007 Photograph, Wat Huai Phai Ubosot and Compound, Huai Phai, Khong Chiam District, Ubon Ratchathani, Thailand, © 2014. 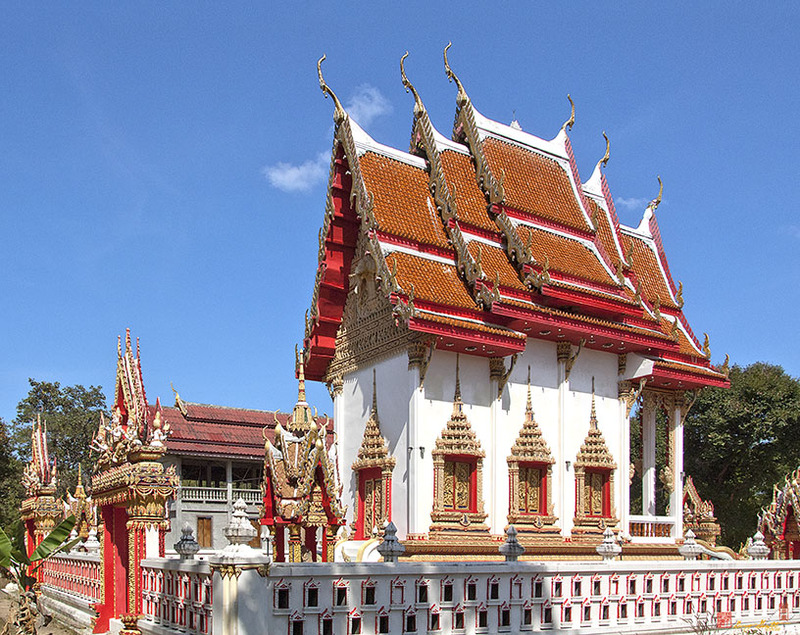 This Ordination Hallshows the typical northern or Isan style of architecture. The compound wall on these two sides contains burial crypts for cremation ashes.